The first Masters winner to be given a green jacket was Sam Snead, in 1949. 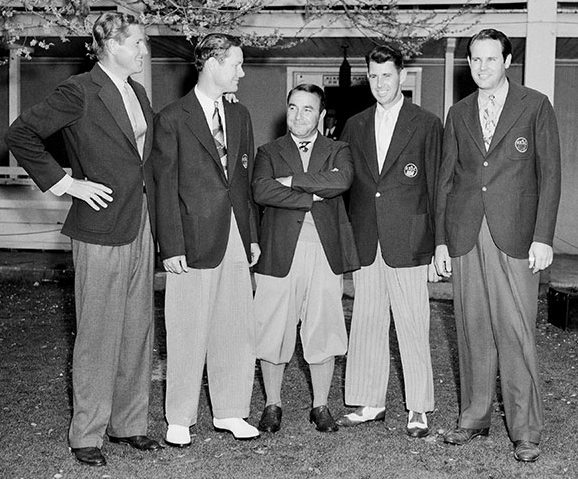 A decade earlier, the club had photographed the first five winners in green jackets, but those had been borrowed from members—in a couple of cases, from members who had significantly different dimensions. The club keeps a selection of sizes on hand, and if a player who hasn’t won before is in contention the golf shop makes a few phone calls, to get an idea of likely measurements. Horton Smith, Byron Nelson, Gene Sarazen, Henry Picard, and Ralph Guldahl, 1939. You can order a nice print of this swell photo from the Masters website. No green jacket, though. This entry was posted in Golf Courses, Masters, Masters Countdown, Tour Players, Tournaments and tagged Augusta National, Clifford Roberts, green jacket by David Owen. Bookmark the permalink. 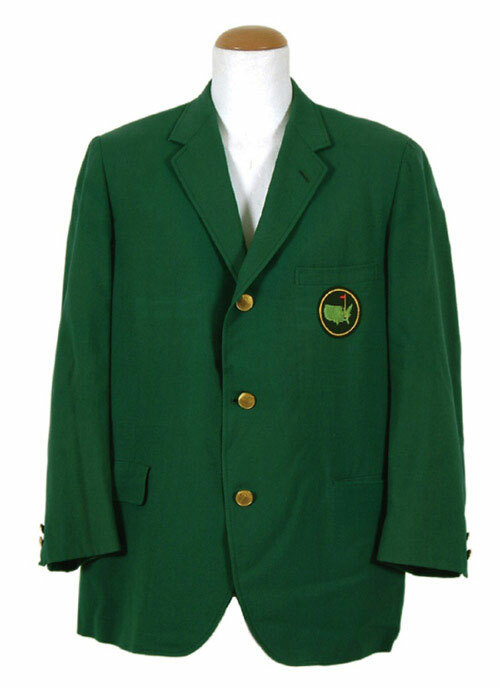 You can win the “Green Jacket”, but it’s not yours. It’s the property of Augusta National. I wonder how that worked when the players had to buy their own jackets ? I misread the article. Nobody had to buy their own jacket.